Systems Archive: Do you like simple or complex JRPGs? Chronicling and saving 'of the time' commentary persisting to claims of varying degrees surrounding console and PC gaming, culture and finance. Do you like simple or complex JRPGs? Simple as in Mario & Luigi: Superstar Saga + Bowser’s Minions. Complex as in Xenoblade Chronicles 2. This should’ve been a poll. Both honestly, I like all kinds of RPGs. ^This, pretty much, though if it's complicated it needs to be so for a reason. Being convoluted just for the sake of it is silly; complexity leading to subtle strategies and multiple approaches is something else entirely. I enjoy both. It really depends on what mood I am in. I'll go for something simpler if I'm tired and don't want to think that much, and I'll go for something more complicated if I have more time to delve into a longer play session. Depends on the game. I love digging into a deep, complex system to develop my characters, and making me think about actual strategy during combat is all the better. But sometimes, all you want is to goof around a bit, and not take things too seriously. But either way, the one thing I need is a reason to keep going. If I don't care about the story and characters, the game has already failed. "The oldest and strongest emotion of mankind is fear, and the oldest and strongest kind of fear is the fear of the unknown." I have a thing for very complex games such as Xenoblade Chronicles 2. I don't usually like JRPGs. 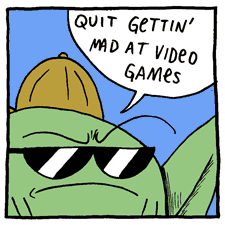 But when I do they're the least JRPG-ey JRPGs like Earthbound, PSO and Pokémon. Whether those are considered simple or not, that I don't know. Games that can be both. No, no lies. That's why I couldn't get into FFXV or Persona 5. Good to see you again by the way, Emily. After Disgaea 5 I really appreciate the more complex ones more. Is a question a lot of people who haven't played it would ask. You always jump to conclusions? Nothing about the game is complex. Blades, aux cores, fusion, affinity, etc. I love the game by the way but can’t see it as being overly complex for anyone. You always jump to conclusions? Nothing about the game is complex. Blades, aux cores, fusion, etc. I love the game by the way but can’t see it as being overly complex for anyone. Is what I said in any way inaccurate? Even the HopeVanille guy was ****ting on the game for weeks claiming it wasn't complex, and a lot of people think battles are "look at your character auto-attack for 20 seconds, use an art. Maybe use another art after that. Stare for another 15-20 seconds, use another art". It's clear that they haven't bothered playing the game at all at that point. Dunno. But just give me a masterpiece like Paper Mario TTYD and we good. I don't know, I've heard that there's an optimal way to deal with every battle in TTYD so it can't be that good. I'm sure Fauch would agree. Happy medium. I like RPGs like CT, Tales if he Abyss, Bravely Default. XBC kinda pushes it with the micro management. Still love the game though. All jRPGs are simple interactive movies where the only factor in defeat is a lack of grinding. XB2 is definitely complex, but they set the difficulty low enough that you can beat it without really putting thought into your setup, you just need to know the rules of battle. The game does really need a hard mode or something, even without taking the inn exp it's still too easy. It's also not like XB1 which had the Sharla noob trap (which was intended to be the path for casual players, but it made the game less fun and more grindy than it needs to be). It's not very easy to fall into a "wrong way" of doing things in XB2 as long as you're paying a bare minimum of attention. This is definitely a good thing IMO. My favorite are the mixture of both. The gameplay is simple on the first look but get deeper as the game process and have in-deep customization to incease the complex of the game. I like great JRPG's, whether they are simple or complex. Chrono Trigger is a simple JRPG, but is one of the best games in the genre. Doest matter. I'm a fast learner and I can handle any and every game. And besides, in all my years of gaming I have never considered a game to be "hard or complex"
Favourite JRPG's: The Last Story, Xenoblade Chronicles, Arc Rise Fantasia. If M&L counts as simple, then that. Mario RPGs are the only ones I care about. At long long last, a worthy successor to the first 3 Paper Mario games has been released. It's called Super Mario Odyssey. In principle, I'd like to play an single-player, story-driven RPG with a lot of depth and strategy. But none of the Xenoblade games handle depth in a way I find satisfactory. In all 3 games the mechanics are obfuscated to an extent (2 might be the least bad about this but I'm not sure), making good build choices requires a lot of blind experimentation (or getting help from online), and trying out a new build often requires significant investment that can't be "refunded", or at least not fully. That type of game design works fine for a PvP oriented game, or maybe a roguelike type game where players are expected to start fresh many times over. But for a long, single-player, story-driven RPG, where most players will judge the game entirely by the experience they had on their first playthrough, and many players don't really want to use guides, it's not very good design. Most JRPGs fall victim to this, they're using a design style more suited to a roguelike or PvP-oriented game, and trying to shoehorn it into a long, story-driven, single-player game. I can forgive it when the battle system is really fun to play. It's also easier to forgive when the build/progression aspects are less important and you can really do anything and still be fine (but ideally there should still be headroom for dedicated players to optimize and make really powerful builds). Silver Surfer is just trial and error, all it takes is patience. Silver Surfer is pretty manageable, actually. It's not that demanding skill-wise, you just need patience and the ability to memorize level layouts. Now Battletoads, that is a hard NES game. Depends on the game and how well the systems are implemented. As a general rule though, I don't really want to spend a significant amount of time fiddling around in menus micromanaging three or more different leveling/perk systems if it feels like I'm not really in control or making a meaningful change. It's important to recognize that there is a distinction between complexity and depth. It's a bit like motion controls in this regard, the addition doesn't automatically add to the experience (at least in a positive way). It's also important to consider whether or not a game is offering real customization or just the illusion of choice. Vindicate your purchases and discredit the purchases of others whenever possible. Numbers objectively define quality and enjoyment. Both have their place in the world. I generally prefer more complex ones nowadays, but some of my all time favorites are very simple, namely Chrono Trigger, Suikoden 2 and Breath of Fire 2. Help this archive become independent. How long till gamestop/EB games goes under? Slowest Internet Speed you've ever used? WISECORP COIN & COMPUTER 2010-2017. Travel theme. Powered by Blogger.